The idea of having an external computer battery or portable power for your cell phone is handy from a convenience standpoint, but having a portable power solution for health care market use can be critical in situations regarding the operation of medical devices. Amstron Power Solutions manufactures a line of portable external batteries for everything from powering your iPhone or laptop for operating medical devices for as many as 10 to 15 hours without the need to be plugged into a hard-wired power source. 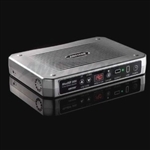 An Amstron battery provides the portable power needed to operate electronic devices far beyond the time allowed by those device's on-board power sources. Browse and buy laptop batteries that are UL60601-certified for use in medical facilities and can provide you with up to 11 hours of 90-watt, 19-volt portable power. Our medical-grade batteries are ideal for use in hospitals, long-term health facilities and other medical offices.